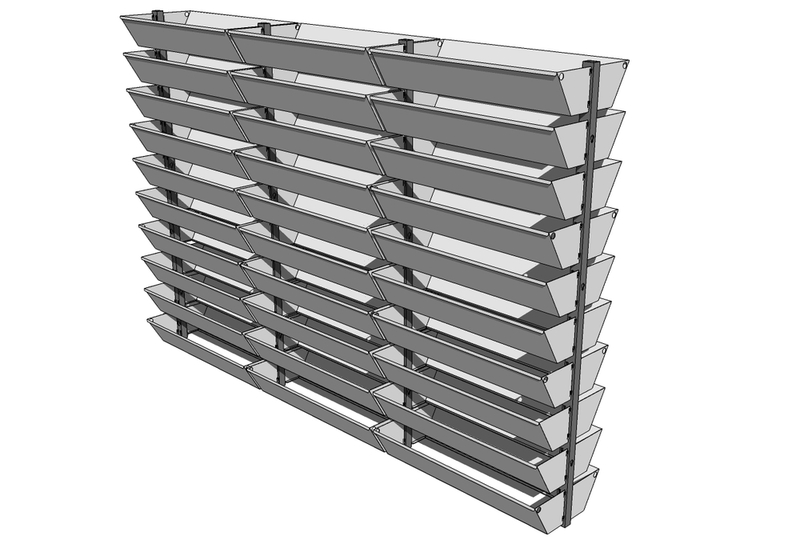 Greenwall is a proven to be one of the best long life, steel vertical garden systems that can be fully customised for your project in either single or double sided versions. Create an instant ‘living’, vertical vegetable garden screen for intimate dining areas or a long life hedge feature with a double sided Greenwall system. Allow 8- 10 weeks for delivery. The large volume of potting media in this successful Greenwall kit system results in optimum root development, balanced moisture, an even temperature and resulting plant longevity. Pick up a copy of this little DIY Vertical Gardens and Greenwalls book and you'll be running lushness up the walls in no time.